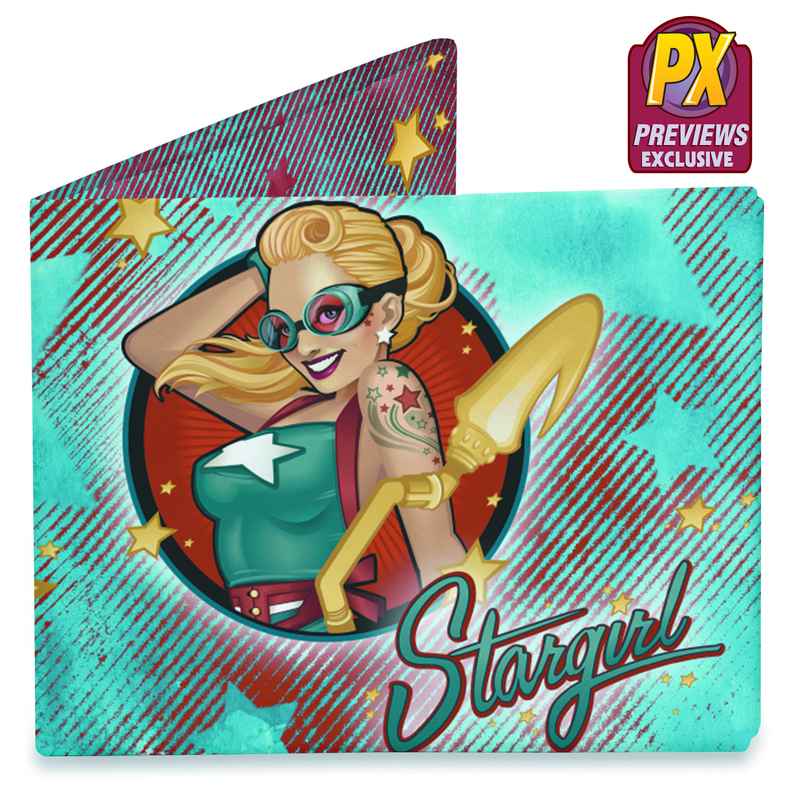 (BALTIMORE, MD) – (September 30, 2015) – Six new characters join the PREVIEWS exclusive line of DC Bombshells wallets from Dinomighty Design, Inc. Featuring the eye-catching, 1940’s inspired artwork of Ant Lucia, the wallets are available to preorder from the October PREVIEWS catalog. These Dynomighty Mighty Wallets are made of Tyvek, a series of interlocking plastic fibers spun in random patterns to provide strength in an origami construction designed by Terrence Kelleman. They are slim but expandable to suit your storage needs and are surprisingly, strong, resisting water and tears. 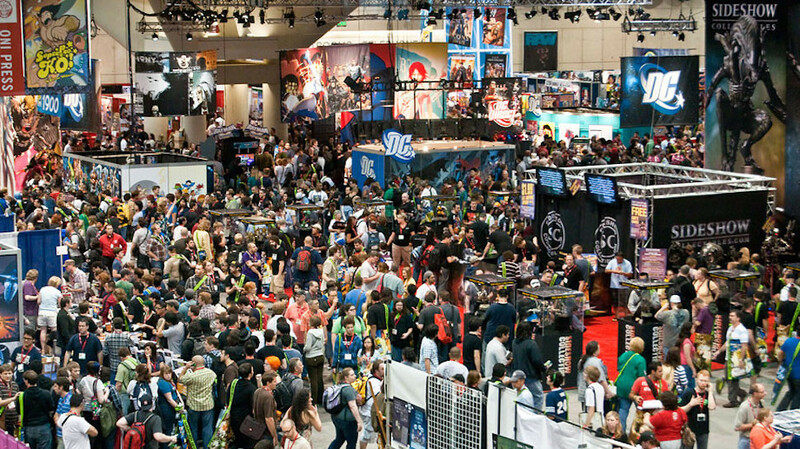 Fans can choose from six pinup designs featuring Black Canary, Hawkgirl, Katana, Mera, Star Girl, and Zatanna. These six new designs join the original line of PREVIEWS exclusive DC Bombshell wallets, which featured Batgirl, Catwoman, Harley Quinn, Poison Ivy, Supergirl, and Wonder Woman, offered in the August PREVIEWS. 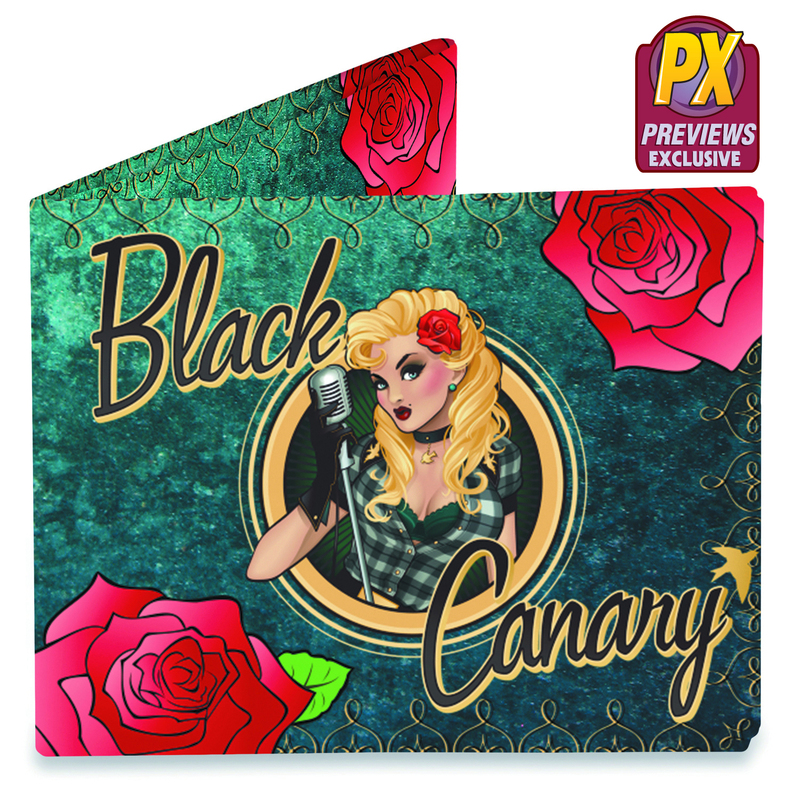 These exclusive DC Bombshells Mighty Wallets are available to order from the October PREVIEWS catalog found in comic shops and are scheduled to ship in late November. Find a comic shop at www.comicshoplocator.com to order yours today.